Sire Quantum has grown into a progenitor that has more than proved himself. 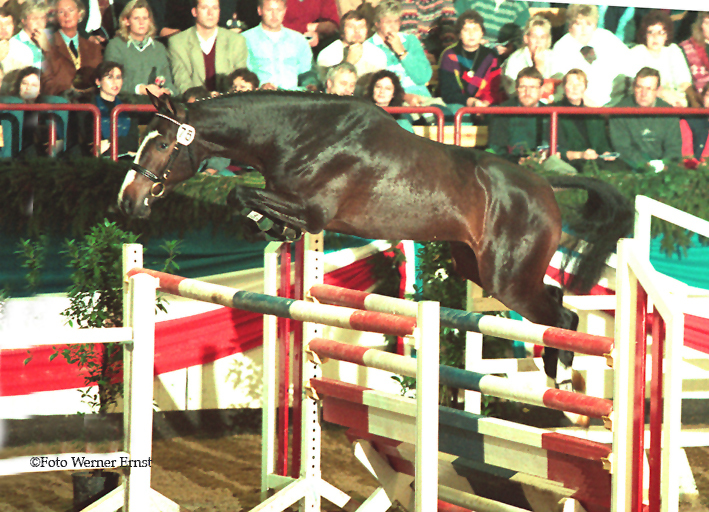 From a relatively small number of offspring he produced successful GP showjumping horses such as Quintero la Silla, Quality Time, Marengo and Quin Chin. 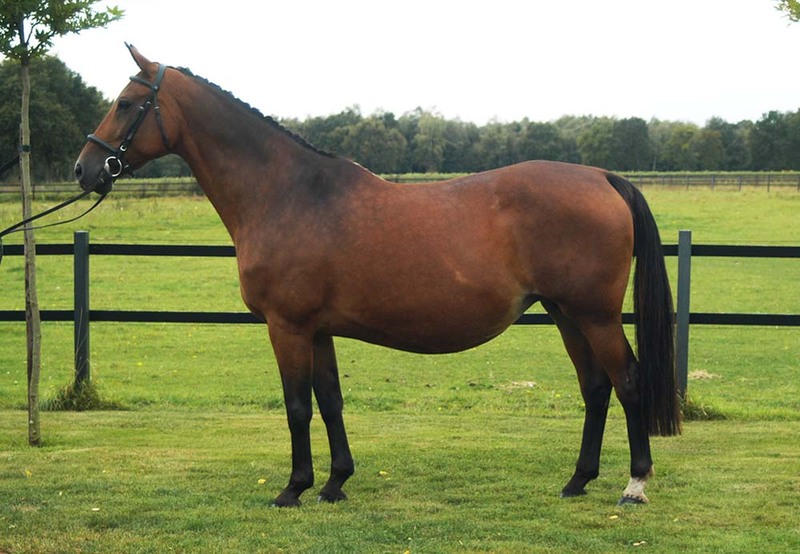 Quantum is here united with a granddaughter of Farn which makes that the celebrated mare Dorette occurs twice in Quanta’s pedigree. Dam Freule herself was a national showjumping horse under Pieter Kersten and she produced by three different stallions four international showjumping horses; Lord Adelheid (Ramiro Z) ridden by Bert-Jan van de Pol, Kyra Adelheid (Aram) ridden by Bart Bles, Quartz Adelheid Z (Quality Touch Z) ridden by Gregory Wathelet and Quartz II Adelheid Z (Quality Touch Z) ridden by Tim Rieskamp-Goedeking.